There are few financial tables FAGLFLEXT, GLTO, COSS, ACDOCA, BSEG, and FAGLFLEXA that you can access in SAP Simple Finance system. 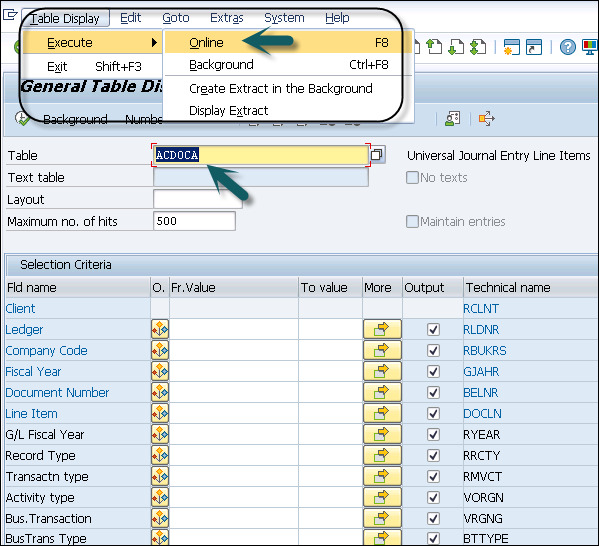 To display financial tables, use Transaction Code – SE16n. Step 1 − Login to SAP system and enter Transaction SE16n in Transaction box → Press ENTER key. Step 2 − In the next window, enter FAGLFLEXT in the Table field and press ENTER key to confirm your entry. 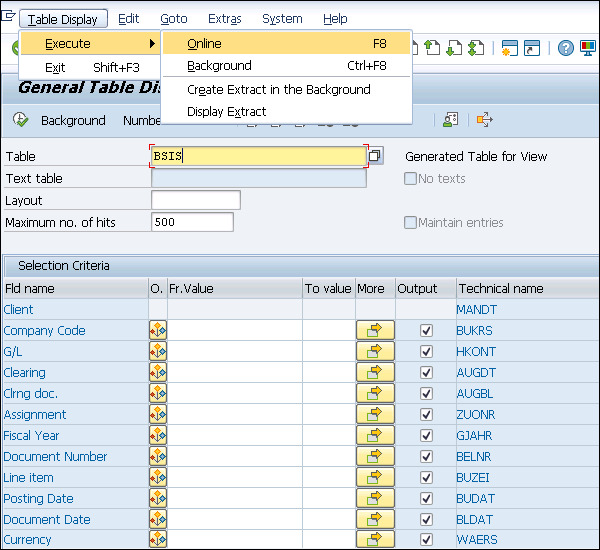 Step 3 − To see the output of the table, navigate to Table Display → Execute → Online. 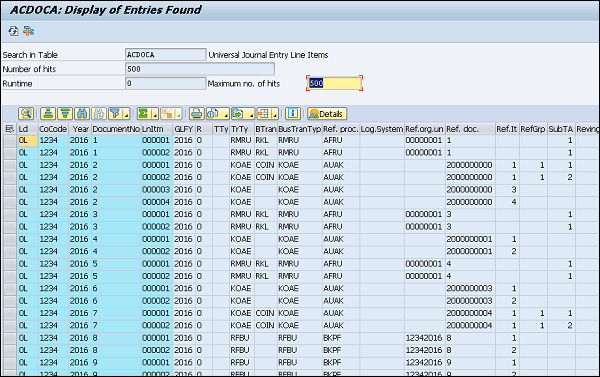 Step 4 − The classic General Ledger Totals table is now a HANA generated view table. To view, Enter the table name BSIS and press the ENTER key. 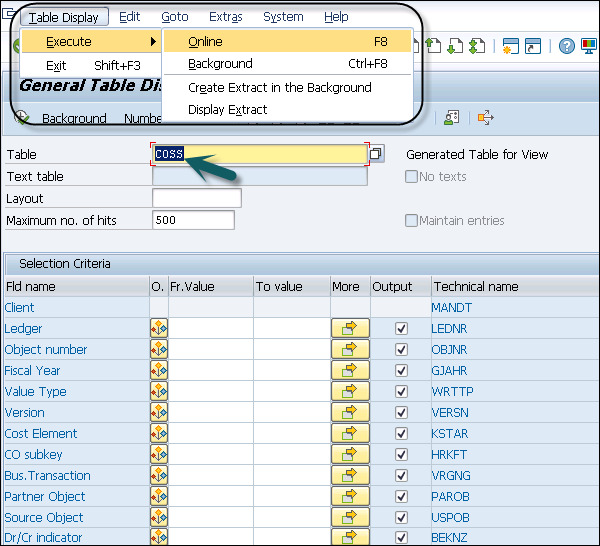 Step 5 − Enter the table name and navigate to Table Display → Execute → Online. 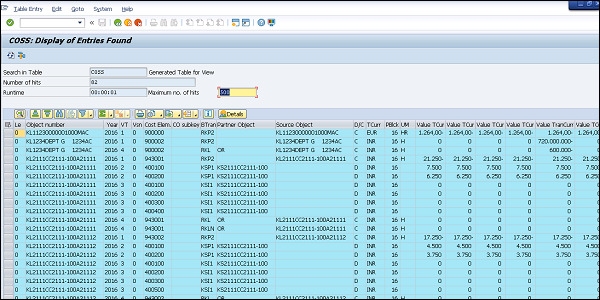 Step 6 − To see index tables, which are now HANA generated view table, enter the table name COSS and press ENTER key. 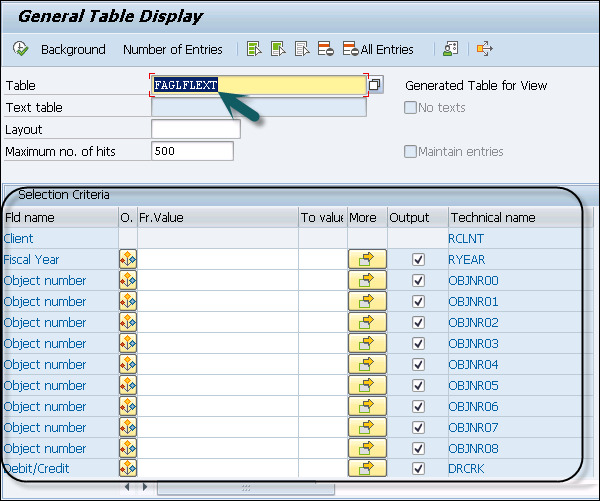 Step 7 − To see CO totals tables, which are now also HANA generated view table, enter the table name ACDOCA and press the ENTER key. Step 8 − To see the huge amount of fields from all other applications, including the custom fields added to the coding block, press F7 button. You can check the approximate line items in the Universal Journal Table. These are mostly a direct result from the migration to Simple Finance. View BSEG table that has much fewer entries when compared to ACDOCA. This is to be expected as CO line items, Asset Accounting, and Ledger information amongst others is not held in the table. Step 9 − To view faglflexa table, enter the table name FLAGFLEXA in the table box and confirm the entry by pressing the ENTER key. 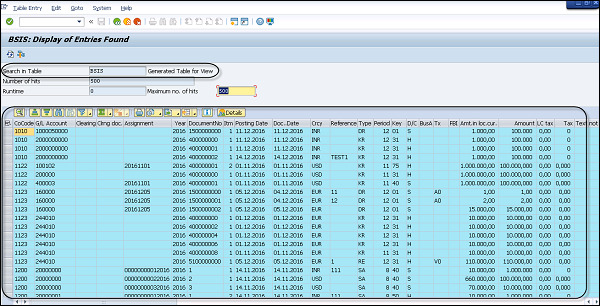 Point to note here is that you can see the new g/l line items table due to extra characteristics (such as the ledger) and document splitting has many more entries than BSEG. You can also take an extract of the table in the background, or create an extract in the background.